In honor of the Lubavitcher Rebbe’s 24th yahrtzeit (anniversary of his passing) on the 3rd of Tammuz 5778 (June 16, 20’18) we share this story from Rabbi Bolton. In honor of the Lubavitcher Rebbe’s 22nd yahrtzeit (anniversary of his passing) on the 3rd of Tammuz 5776 (July 9, 20’16), we share the following stories of blessings received by Gentiles. Abraham was 40 when he recognized and knew God. He formulated the replies to idolators and convinced them to follow the One God and His 7 Noahide Commandments. 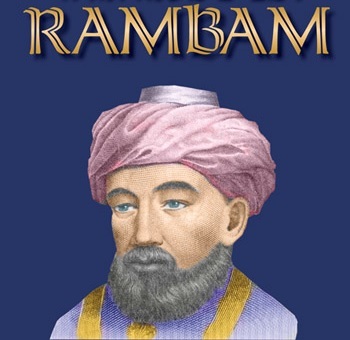 Knowing about Rambam (yahrzeit on 20 Tevet) will bring improved civilization of the world. His teachings include the Laws of Noah, which prepare us all for the Messiah. 18 Elul (Sep. 9, 20’17) is the birthday of Rabbi Israel Baal Shem Tov (1698 C.E. – 1760 C.E. ), founder of the Chassidic movement. There was nothing in the Baal Shem Tov’s teachings that was new to Judaism, yet his teachings revolutionized Torah Judaism with new life and vitality. Rabbi Shneur Zalman (yahrzeit Jan. 1 in 20’19): Few Jewish luminaries in modern times have made such a profound contribution. His works cover all of Jewish thought: mysticism, philosophy, psychology, ethics, and law, with unparalleled creative genius. The Rebbe (1902 – 1994, birthday 4 days before Passover on 11th of Nissan), of righteous memory, 7th leader in the Chabad-Lubavitch dynasty, is considered to have been the most phenomenal Jewish personality of modern times. To hundreds of thousands of followers and millions of sympathizers and admirers around the world, he was — and still is, despite his passing — “the Rebbe”.